On my recent trip to Walt Disney World, I knew I’d be busy but thanks to some prior planning, I was able to get in my scheduled run! Since we were staying at Saratoga Springs Resort and Spa (SSR), I had some prior experience/knowledge of the general layout of the grounds. For the Wine and Dine Half Marathon in 2012, I had done a few miles after the Jingle Jungle 5K and before the half that night, so I based my mileage estimate on that. My plan that early Monday morning was to hit the pavement a little after 6 AM, log about 4 miles (what was on my schedule) and also participate in the #runchathunt. I knew there were a few things I could capture on my run and that it’d be a blast to memorialize my run with some fun images. When my alarm went off that morning, I literally jumped out of bed, got dressed and headed out, making sure to tuck away my room key in my back pocket. Opening the door, I was pleasantly surprised by the mild temperature, despite the darkness…I definitely wasn’t in VA anymore! Bridge from SSR to DTD. Setting out on the course, I headed down the sidewalk (we were staying in the Congress Park Section of SSR) and off to the path that leads to Downtown Disney (DTD). I hadn’t packed my running belt or Garmin, so I just held my phone in my hand and ran the Nike+ app – it was a pretty easy set up, and each time I saw something I could use in my #runchathunt, I stopped the app, snapped the pic, then started back up. Once I reached the ‘West Side’ of DTD , I kept near the waterfront, which was well-lit and clear. The main walkway was being power washed and I ran past a sign that told me to use exterior sidewalks. It was quiet, and still…definitely a huge contrast from the liveliness of DTD in the evening! Soon, I was past the Pleasure Island section and passing the Marketplace. I waved good morning to each person I saw and they waved back – Disney magic – and then took the sidewalk around the bus stop back toward the resort. Glancing down at my iPhone, I noticed I was nearing four miles at that point, but I was feeling like I could sneak in a little more. So after I made it back to my starting point, I headed back down the path I had came and decided to run the sidewalks of Hotel Blvd to the “Welcome to Walt Disney World” sign. 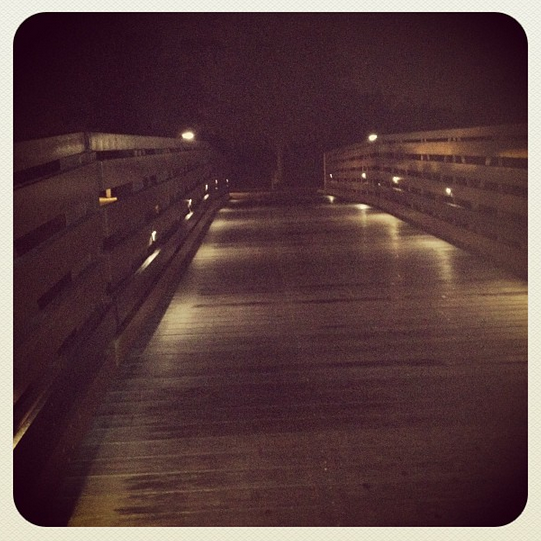 One thing I really loved about this run was despite the fact that it was still dark out, I never felt scared or ‘in the dark.’ Sidewalks were well-lit and due to the hour of the day, there were very low traffic. The humidity was beginning to increase, but a mild breeze was also present, which kept the run very comfortable. After I reached the sign, it was back to SSR and that evened out an exact five miles. That run reminded me how much I love running outdoors (after a winter cooped up on the treadmill – while I do still love that training tool, nothing beats being outside!) and really energized me for the LONG day we had ahead of us! Have you ever run on your Disney Parks vacation (other than at a race, as seen below)? What’s your favorite place to log some miles? 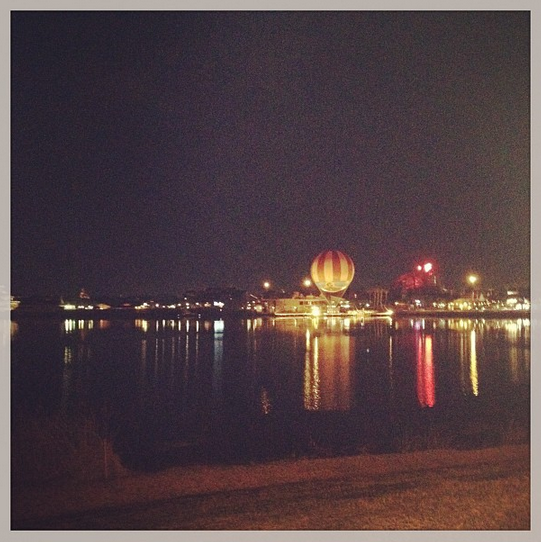 I absolutely love running from SSR (Home) to DTD! The view of DTD from the path at SSR is awesome. 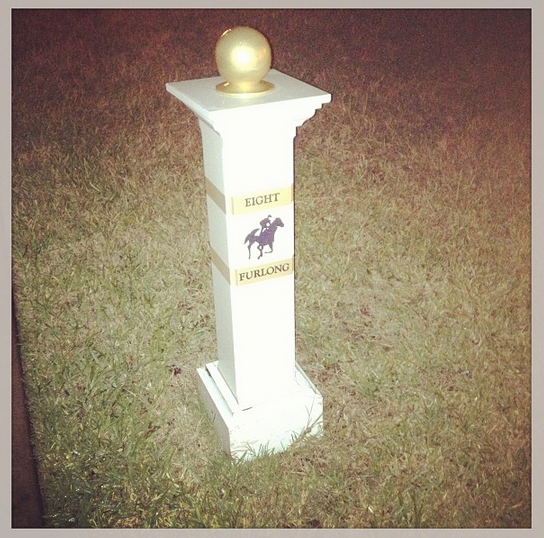 Easy to stretch the mileage to Hotel Blvd or the THV and OKW. Can’t wait for next visit. Hehe, thanks, David! I was so excited when I saw it!! What an awesome run! 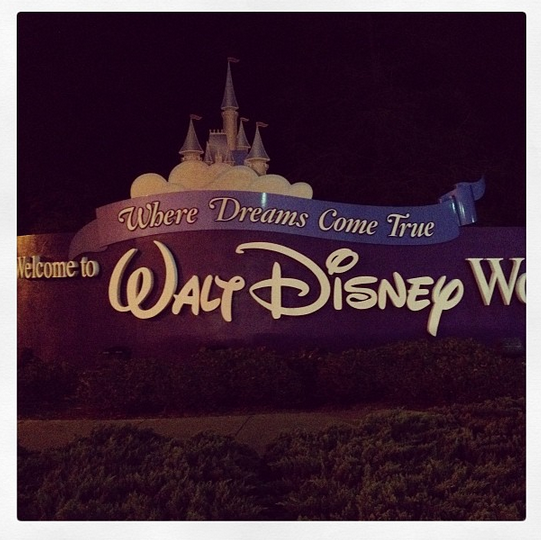 I miss Disney so much! Thanks, E! When is your next trip? that looks like so much fun! i love disney, but have only squeezed a short run in 1x. next trip i’m going to check out those trails! Awesome!! Don’t you just love running at WDW?! Just something special about it! 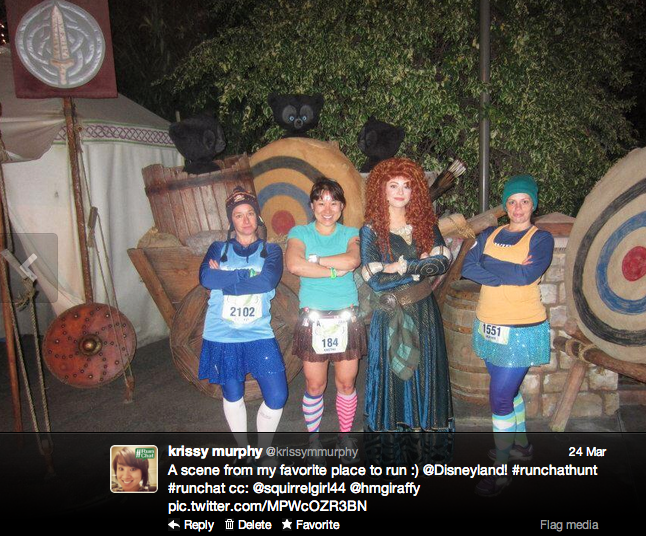 I envy everyone who can run at Disney (without the race) I’d like to do this for my family trip in Nov, but we’ll see!